14 instances of right procedure, wrong patient in Mass. 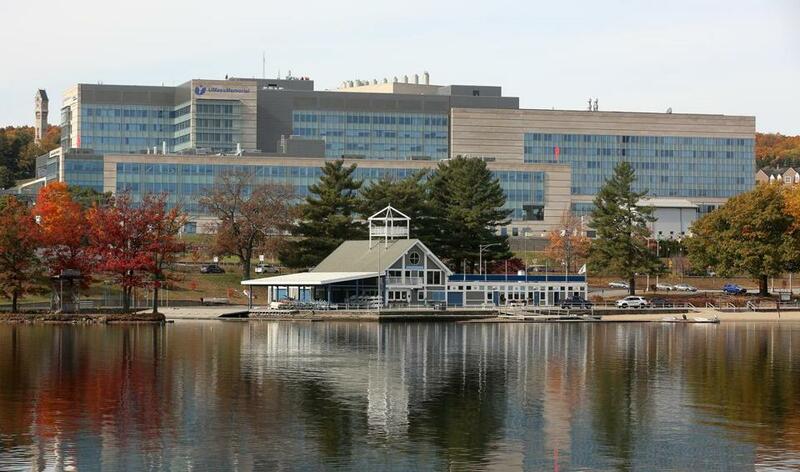 UMass Memorial Medical Center’s Worcester campus. Dr. Eric Dickson, president of UMass Memorial Health Care, said he has told staff they must follow procedures every time. The patient’s doctor delivered the bad news: A CT scan showed cancer. Surprisingly, though, just two months later a biopsy failed to detect a malignancy, leading a puzzled doctor to order a second biopsy. The mystery was solved when a radiologist discovered that the initial CT scan that revealed the cancer actually belonged to a different patient — it was a case of mistaken identity. This mix-up at UMass Memorial Medical Center is one of at least 14 instances since 2011 in which caregivers at Massachusetts facilities performed a procedure on the wrong patient, state records show. The Globe requested the records after health inspectors disclosed that a surgeon at Saint Vincent Hospital unnecessarily removed a patient’s kidney in July — an operation also mistakenly based on another patient’s computed tomography scan, which showed a large tumor. Hospitals and a surgery center reported to state public health officials that the following procedures were mistakenly done on the wrong patient. In at least 10 of these cases, busy or distracted caregivers apparently failed to follow a simple rule. They did not use two distinct pieces of information to identify a patient, such as full name and birth date. In several instances, patients did not speak English, which is believed to raise the risk of medical errors. The procedures included the insertion of intravenous catheters, endoscopies, and biopsies. Health care safety experts stress that wrong-patient procedures are rare, but acknowledge that hospitals and surgery centers may underreport them to regulators. But state investigations at UMass Memorial and Saint Vincent, prompted by the mix-ups, confirm that the underlying patient identification errors that can lead to harmful mistakes are far more common. Instances of improper identification that are caught before a patient is hurt often don’t get reported, making them hard to quantify. State Department of Public Health inspectors who visited the two Worcester hospitals this summer in separate investigations of the erroneous biopsy and kidney surgery found five recent patient identification mistakes at UMass Memorial and four at Saint Vincent. Inspectors faulted both hospitals for not conducting thorough internal investigations and for not taking steps quickly to prevent future mix-ups. For example, inspectors who visited UMass Memorial on June 24 found that the records for the two patients involved in the biopsy case still contained swapped test results — weeks after the error was discovered. 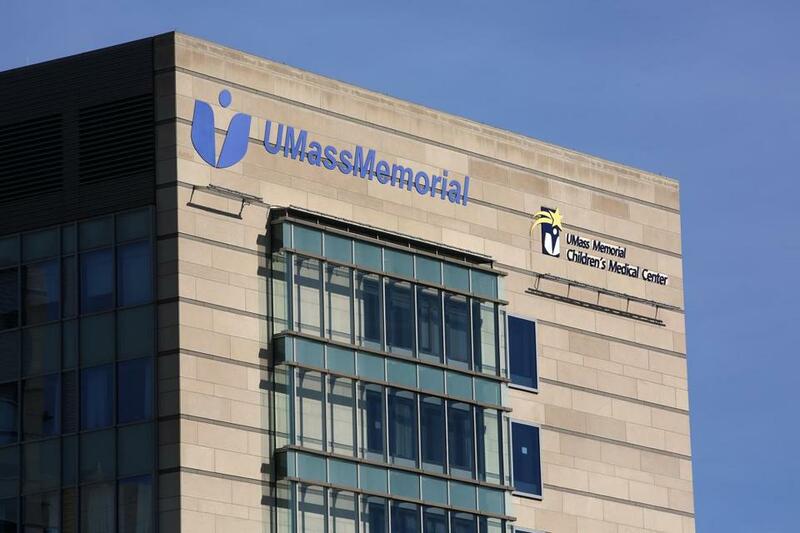 The original mistake occurred when a patient visited UMass Memorial’s emergency room on March 4 complaining of pain, according to a state report that referred to him only as Patient 1 to protect his identity. The patient did not speak English and the hospital did not use an interpreter when registering him, the report explained. The staff mistakenly registered him as Patient 2, who had the same name and a similar birth date, and was from the same country. Patient 1 underwent a CT scan, which showed cancer. But the results were sent to Patient 2’s doctor, who scheduled the ultrasound-guided biopsies for his patient. UMass Memorial doctors discovered the mistake when they gave Patient 2 another scan as he was about to undergo a second biopsy. That second scan showed no cancer. The other mix-ups inspectors found at UMass Memorial included a patient who received a certified letter with an abnormal test result for another patient, and a patient who underwent an X-ray intended for someone else. Based on the findings, the Centers for Medicare and Medicaid Services threatened to suspend the hospital from the federal Medicare program if it did not improve. The hospital subsequently made numerous changes, including expanding video conferences with interpreters at registration and adding more staff to its risk management department, including new leadership. Dickson said the hospital has learned from the criticism that it didn’t move quickly enough in the past. Dr. Eric Dickson, president of UMass Memorial Health Care, said he has told staff they must follow procedures every time. That includes checking a scan immediately before beginning a procedure and asking the patient for two identifiers to match the information on the scan. “If you fail to follow the procedures it’s only a matter of time before a mistake will occur,’’ he said in an interview. 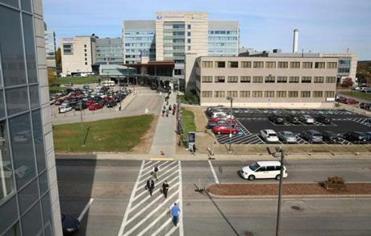 In the case of the kidney surgery at Saint Vincent, two patients had CT scans taken at UMass Memorial on the same day. They also shared the same name. The scan of one patient showed a kidney tumor, while the other patient was referred to a urological surgeon at Saint Vincent for blood in the urine. The surgeon repeatedly opened the CT scan for the wrong patient, showing a large tumor on the left kidney that had also infiltrated a major blood vessel. The error was discovered in the operating room, after the patient’s healthy kidney had been removed. Public health officials and the hospital said they could not provide information on the patient’s condition because of privacy laws. Federal regulators have given the hospital until next month to correct shortcomings in its identification practices or risk losing its contract to treat Medicare patients. ECRI Institute, a patient safety research organization based in Pennsylvania, studied over 7,600 wrong patient incidents voluntarily reported by hospitals over a recent 2½-year period. Staff caught most mix-ups before patients were harmed, but two led to deaths. Based on data from states with mandatory reporting laws, procedures done on the wrong patient or the wrong body part, or instances where the wrong procedure was done, happen 40 to 60 times a week in hospitals, said Coleen Smith, director of high reliability initiatives for the Joint Commission, which accredits hospitals. “Forty to sixty may seem like a lot but there are hundreds of thousands of procedures happening,’’ she said. Smith pointed out that medication errors are far more common, because the number of drugs prescribed far exceeds the number of procedures. In a study published in 2013 in the Journal of the American Medical Informatics Association, researchers found that 5,246 wrong-patient electronic medication orders were placed at Montefiore Medical Center in New York City in a single year. That meant one in 37 patients admitted to the hospital had an order placed for them that was intended for another patient. All these errors were caught by the provider before causing patient harm, the researchers said. Electronic medical records, which doctors can also use to order imaging tests, biopsies and other procedures, lower the risk of misfiling a paper record in the wrong chart. But they make it easier for caregivers to make other mistakes, such as choosing the wrong patient from a drop-down menu. Massachusetts General Hospital reported a wrong patient procedure to the state Health Department last year, when a doctor electronically ordered an intravenous catheter for a patient who didn’t need one. Nurses explained the procedure to the patient, who agreed to have it done. “Clinically it wasn't inconceivable that a central line would be needed for this patient,’’ said Dr. Elizabeth Mort, senior vice president for quality and safety. The patient spoke Arabic, but Mort does not think language was a factor because a translator was used. Another doctor caught the error but not in time. Upon investigation, the hospital discovered that a visiting physician had entered the order in the wrong chart for reasons that were unclear. Now, visiting doctors must complete training on the medical record system. Mort also encourages patients to ask questions and offer identifying information.